"You better watch out. You better not cry. Santa Claus is coming Town~~~~"
Ho ho ho~ Very soon, it will be the arrival of my favourite day of the year all time. I love Christmas the most. Yes, more than Chinese New Year's ang pow. To me, Christmas is a festival of love, it's a magical moment. Yes, I still believe in Santa even if it seems to be a false existence (but you'll never know for sure!). and one day, I will certainly have my white Christmas, with my dearest kareshi. So, before the actual Christmas day (because everyone will be busy dating), Butterfly Project Malaysia and Hermo Malaysia have decided to grant your Christmas wish earlier!! Well, it's easy. I promise. But before that, let me show you what I wish to receive from Hermo for this Christmas. So, after having a rough browse through Hermo.my, I decided to choose mask item because I am running out of mask. Initially I was looking at Laneige's sleeping mask but then, I can get Laneige product at much cheaper price on my own, so after looking through all the items, I decided to pick Banila.co The Black 17 sleeping mask! I love sleeping mask over sheet mask because I can just slab it on my face and sleep. Yea, typical lazy Leo. Haha! Why is it called The Black 17 sleeping mask? Because it contains 17 kinds of black natural health essence extract, rich in nutrition to improve skin immunity, moisturizing, restoring elasticity, regulate metabolism, help detoxify the skin. 17 types of black natural health essence includes black bean, black garlic, blackberry, concentrated grape, eggplant, acai berry, black sugar, aronia berry, black sesame, mulberry, black chalk berry, blackcurrant, pepper, elderberry, chaga mushroom, cacao, and shiitake mushroom. Honestly, some of the ingredient seems to be sorta exotic and some I don't even know what they are! 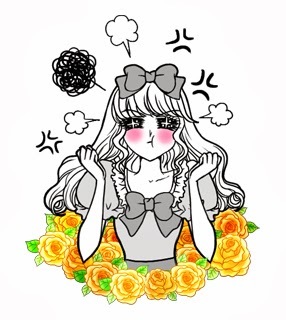 lol But, it is always interesting to try out new things. One of my philosophy: Never try, Never know! Hehe. So, I hope I will get to try this out! The second item I choose is Hada Labo Arbutin Whitening Face Wash. I've tried quite a number of products from Hada Labo such as their top seller toner, milk lotion and their lip balm. I love them all! This time round, would love to try their facial wash. I believe it will too, deliver awesome result. Hey, it's Japanese brand! That's the very least you should expect. Okay, that's the 2 products I've chosen from Hermo.my for my early Christmas present. Hehe, wanna get yours too? Fine, tell you the secret code to enter now. 2. Create your Christmas Wish List by posting a blog post, don't forget to linked the products so Santa Hermo knows what you're wishing for. Santa very busy one okay, so linked it, make Santa's life easier. 3. After publish your post, make sure you head >>HERE<< to register your blog post to make your entry valid! Wishing starts from 25 Nov until 14 Dec 2013, so make sure you submit your post before that. 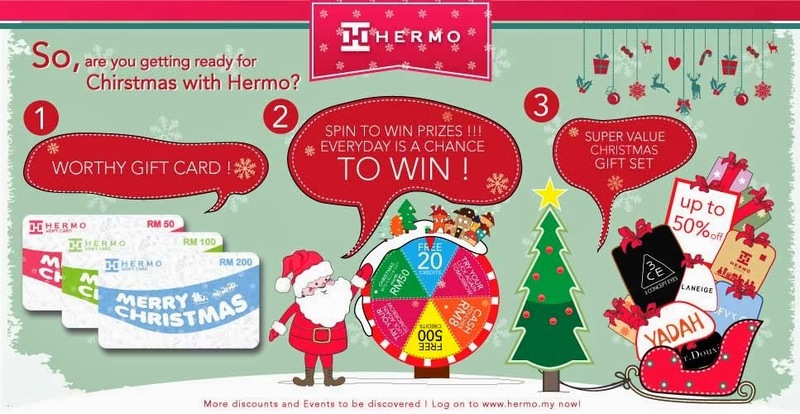 Santa Hermo will start knocking on your door from 17 Dec to 24 Dec! Uhh, I'mso excited! No one knows how many lucky ones will be smiling when Santa knocks, only Santa Hermo knows! (Ah, and mamasan +Tammy Lim knows!) But, fear not! !Hermo is always very considering. In case, Santa didn't came knocking on your door, you can always grab your favourite item from the Christmas sales that Hermo has prepared for you!